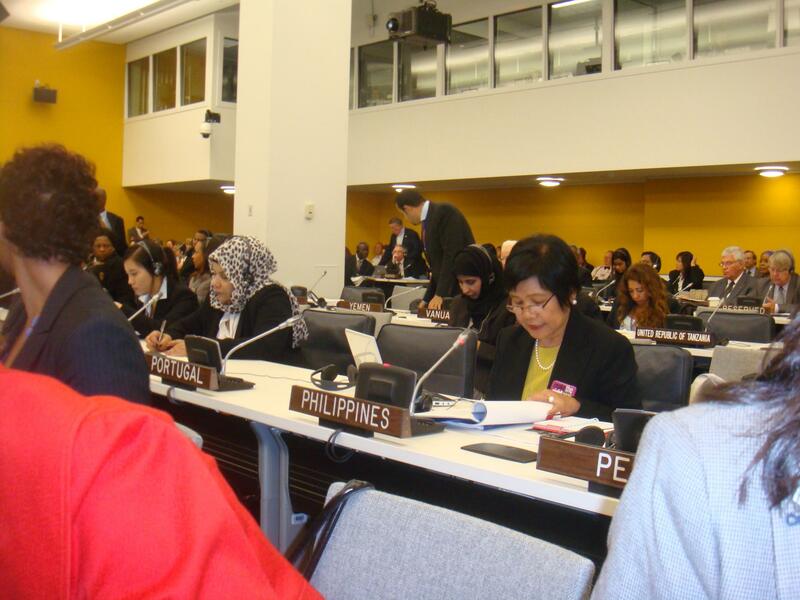 DSWD Undersecretary Alicia R. Bala and concurrent NCDA Officer-in-Charge/Executive Director raises Philippine position on the urgency of employment , international cooperation and participation in public and political life, based on the “UN-Convention on the Rights of Persons with Disabilities”. 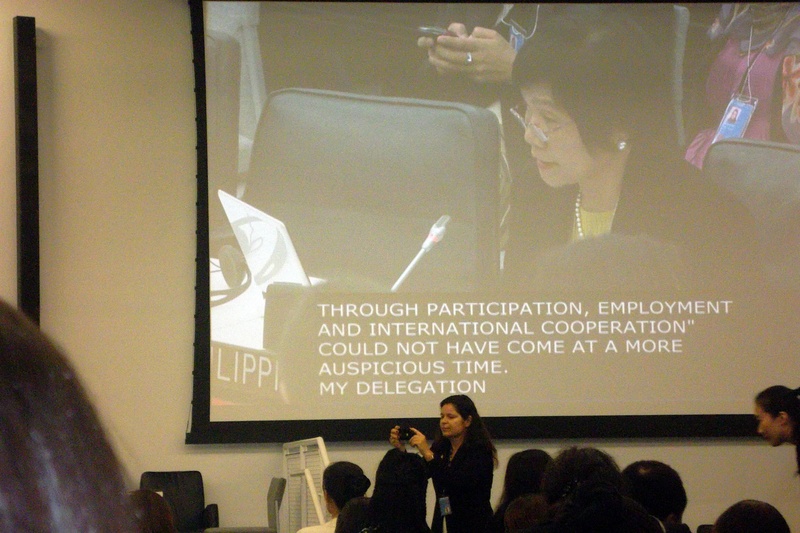 Taken at the “4th Session of Conference of States Parties to the CRPD, last September 7-9, 2011. 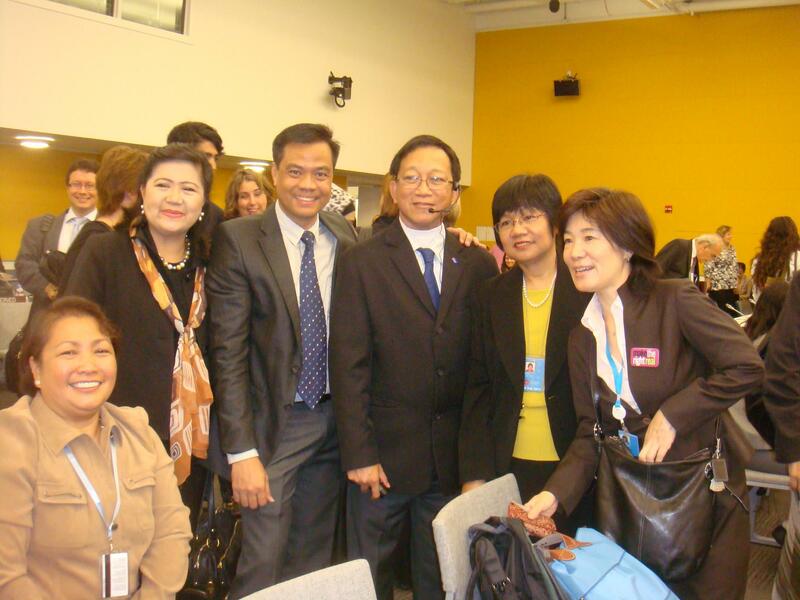 Bonding with local/global partners Left to right: Seated, Ms. Venus Ilagan, Rehabilitation International Secretary General, SM Supermalls (SMS) President Ms. Annie Garcia, SMS Vice-President Bien C. Mateo, Global Cancer Ambassador and New Vois Association of the Philippines President Emer Rojas and UN-ESCAP Social Affairs Officer Ms. Aiko Akiyama. 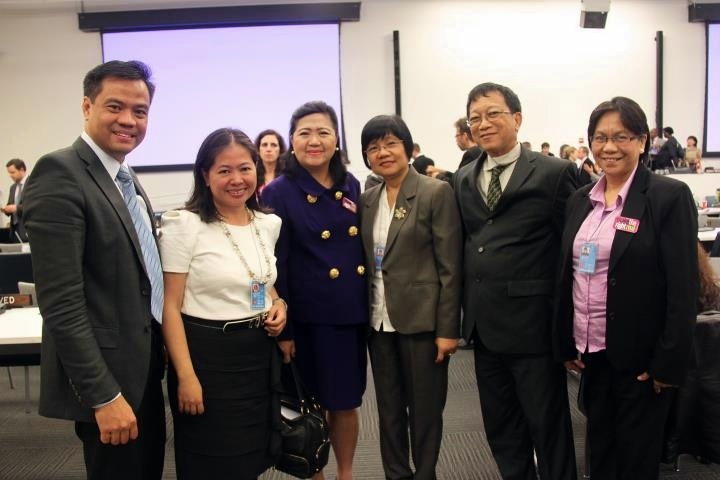 Left to right: SMS VP Bien C. Mateo, Ms. Annie Hernando, Foreign Service Officer, Philippine Mission to the UN, SMS President Annie Garcia, NVAP President Emer Rojas and NCDA Regional Programs Coordinator Ms. Flerida Labanon. The government is doing its best to integrate children with special needs in school and society. I hope that ACECYD will not overlook to review our present curriculum named RBEC. Our present curriculum aims for the advancement of the child’s learning while the old curriculum focuses on the mastery of the child’s learning. As a regular tutor, I was shocked to know that my students were not able to master simple addition and subtraction but has taken up multiplication and division. It is very sad to see the cons of the RBEC curriculum. In my opinion, it is not only the strategies that are essential to provide access to CSNs but also to design a curriculum which comprises things that are necessary to be taught and ways how things to be taught that promote mastery and independent living skills.